After a long and successful career, UCLB is happy to wish Professor Mike Spyer the very best as he formally retires as Vice-Provost of Enterprise on 1 May 2010. Professor Spyer has been instrumental in raising the profile of entrepreneurial activities at UCL and everyone at UCLB will be sad to say goodbye. Professor Spyer became UCL’s first Vice-Provost (Enterprise) in 2006 with a mission to develop UCL’s Knowledge Transfer strategy. As a neuroscientist Professor Spyer has extensive research accomplishments in the field of the central nervous control of the heart, circulation and ventilation. He has provided novel information on the mechanisms by which the nervous system controls heart rate and other indices of cardiac function, and how vascular resistance is regulated. His research has been supported generously by the Wellcome Trust, the British Heart Foundation, the MRC and the BBSRC. In 1980 Professor Spyer was appointed the Sophia Jex-Blake Chair of Physiology and Headship of the Department of Physiology at the Royal Free Hospital School of Medicine. In 1993 he was named Head of the joint Department of Physiology of UCL and the Royal Free and, upon the merger of the Royal Free with University College Medical School, was made Dean of the Royal Free Campus. On 1 October 2001 he took up the post of Dean of the Royal Free & University College Medical School and on 1 November 2002, in addition to his role as Dean, he was appointed Vice-Provost (Biomedicine) of UCL. As a consequence he was involved in managing for UCL the interface between the University and NHS. He currently serves as a Non-Executive Director of the London NHS. 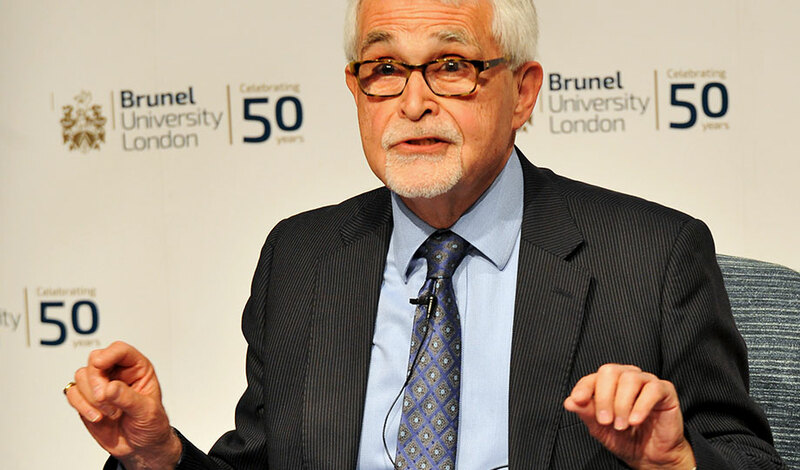 Faced with new challenges in his capacity as the first Vice-Provost of Enterprise, Professor Spyer became involved in the exploitation of IP generated in UCL through his Directorship of UCL Business plc. He also chairs the Bloomsbury Bioseed Fund, a venture fund supporting several research institutes in London in addition to UCL, and has been a Non-Executive Director of several biomedical start-up companies. “I am proud to be associated with Freemedic through to UCL BioMedica, which has now developed in to UCLB, and which I believe is a major player of technology transfer in the UK and the world. I look forward to observing UCLB’s performance over the next few years and I hope that the company will continue to deliver excellent returns, translating the research at UCL into products for society. In December 2009 UCL President and Provost Professor Malcolm Grant announced that Professor Stephen Caddick, Head of UCL Chemistry, will succeed Professor Mike Spyer as Vice-Provost (Enterprise) upon Professor Spyer’s retirement. Professor Steve Caddick said: “Mike Spyer has been an inspiration to many of us at UCL and as Vice-Provost he has stimulated very considerable growth in Enterprise. As the new Vice-Provost, my aims will be to build on Mike’s achievements and to promote the Enterprise agenda for the benefit of UCL and the wider community. “We know that in the coming years there will be significant challenges faced by UK Universities. However I am confident that, with the depth of talent of our students and staff, we are ideally placed to make a major contribution to the economic recovery of the UK. I will seek to stimulate further growth in a wide range of areas, such as student businesses, industrial research contracts, consultancy, licensing and social enterprise.